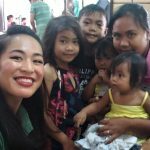 MUNTINLUPA REPRESENTATIVE FOR MISS EARTH PHILIPPINES VISITS ST. PEREGRINE’S CHARITY CLINIC March 17, 2019- March 17, 2019 ~ St. Peregrine Laziosi Diocesan Shrine. A week ago, Miss Maricres Valdez Castro, the representative for Muntinlupa City in the upcoming Miss Philippines Earth 2019 visited St. Peregrine’s Charity Clinic. 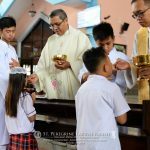 184 Children Received First Holy Communion January 28, 2019- January 28, 2019 ~ Jasper Christian Gambito/ St. Peregrine Laziosi Diocesan Shrine. One of the most important events in the life of a Catholic Christian is the first time when he/she receives the Holy Communion. First Holy Communion is among what is referred to as the sacraments of initiation, along with the Sacrament of Baptism, and the Sacrament of Confirmation. These three sacraments are necessary to be taken by Catholics in our journey to becoming full members of the Church. On January 26, 2019, 184 communicants received the Holy Eucharist for the first time in a ceremony led by Rev. Fr. Deogracias Ma. Alejandria Jr., OSM held at St. Peregrine Laziosi Parish. St. 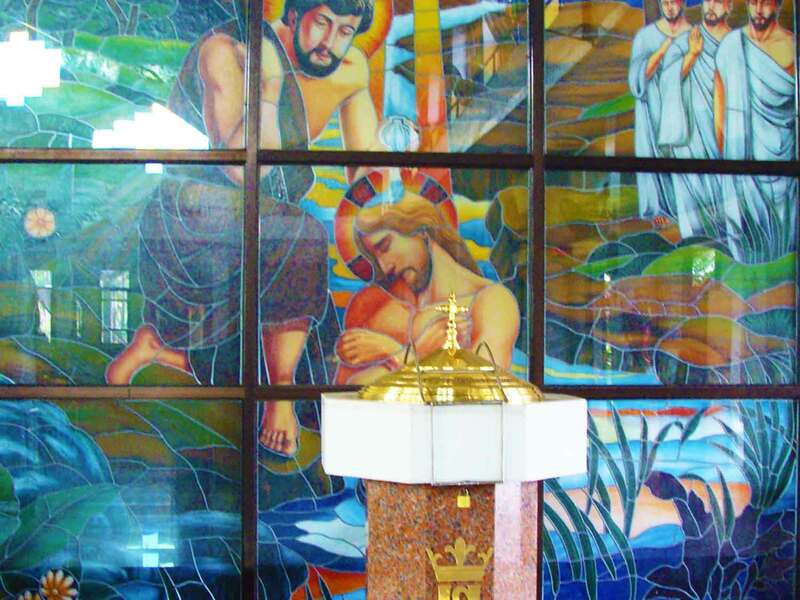 Peregrine Diocesan Shrine represented at the International Conference for Rectors and Operators of Sanctuaries November 30, 2018- Shrines and sanctuaries should be places of welcoming and mercy where the sacraments can be received, Pope Francis said Thursday to an international gathering of shrine rectors and pastoral workers. “The shrine,” the pope said Nov. 29 in the Vatican's Sala Regia, “is a privileged place to experience mercy that knows no boundaries. In fact, when mercy is lived, it becomes a form of real evangelization, because it transforms those who receive mercy into witnesses of mercy,”. Filipino Youth in Mission: Beloved, Gifted, Empowered November 30, 2018- Like Mary, we are thankful for this privilege of putting ourselves in the shoes of the Filipino youth to prepare for the Year of the Youth. On behalf of our fellow Filipino youth, like the two disciples of Emmaus, we will tell Jesus, the Son of Mary, our situation, our concerns and our youthful dreams for the Church and for the society. With Jesus and His Mother Mary, who went in haste to help Elizabeth, we encourage our youthful peers to hasten and join in realizing the goals of the Year of the Youth. SOLEMNITY OF OUR LORD JESUS CHRIST, KING OF THE UNIVERSE November 25, 2018- November 25, 2018 ~ Jasper Christian Gambito/ St. Peregrine Laziosi Diocesan Shrine. Today, we are celebrating the Solemnity of Our Lord Jesus Christ, King of the Universe. This feast marks the end of the current liturgical year and the start of the advent season. FIRST MARIAN FESTIVAL LAUNCHED AT ST. PEREGRINE LAZIOSI PARISH October 21, 2018- October 20, 2018 ~ Japs Gambito, St. Peregrine Laziosi Diocesan Shrine. The opening of the exhibit was held on Saturday, October 20, 2018 starting with an Opening Mass of the Festival presided by Rev. Msgr. Pedro C. Cañonero, parish priest of the Diocesan Shrine of Our Lady of the Abandoned in Marikina City, along with Rev. Fr. Leonardo M. Guiang Jr., OSM and Rev. Fr. Deogracias G. Alejandria Jr., OSM as concelebrants. 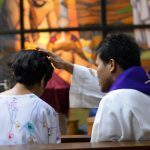 CBCP Pastoral Statement: We Pray for the Church August 31, 2018- In these recent days, we feel again, with growing intensity, the pain and shame, because of the many revelations of sexual misconduct, most particularly those done against minors but not only minors, committed by a significant number of clerics, a number of bishops, and by consecrated persons. The pain is intensified by reported cover ups of these abuses and crimes. OSSM Acceptance of Probationary Members and Members’ Renewal of Commitment Held at the Shrine August 27, 2018- August 27, 2018 ~ St. 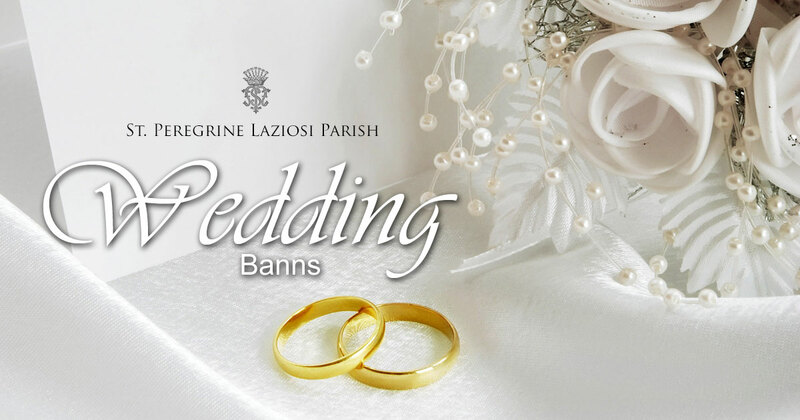 Peregrine Laziosi Diocesan Shrine/ Cleotilde Bulan. 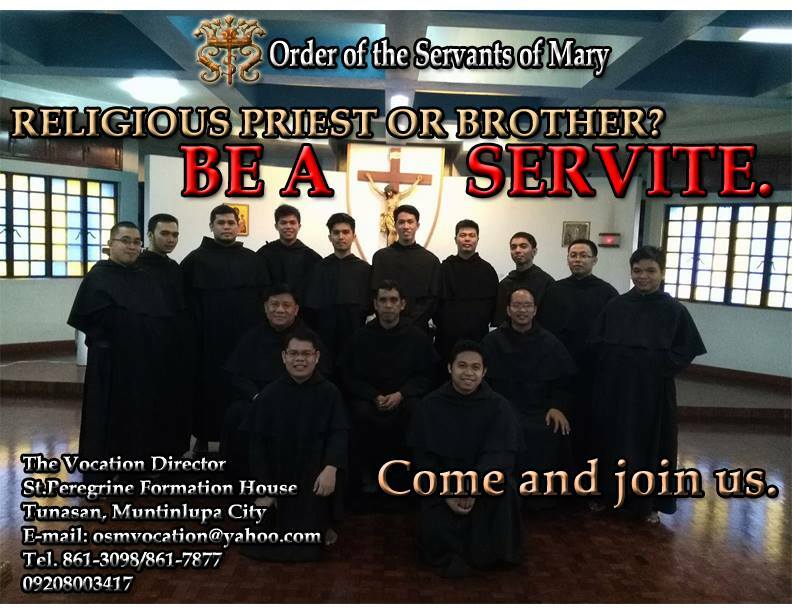 The Order of the Servants of Mary celebrated the Feast of St. Philip Benizi, the Illustrious Promoter of the Servite Order, last August 23. The nine days novena-masses were held at the St. 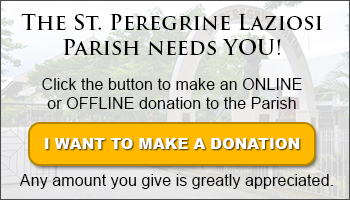 Peregrine Lasiozi Diocesan Shrine from August 14th to August 22nd. Lectors and Acolytes Installed on Feast of St. Philip Benizi, OSM August 24, 2018- Fra. Moises Ma. Tamayao, OSM, Fra. Joseph Le van Coung Ma., OSM, Fra. Julius Ma. Tayopon, OSM, Fra. Joseph dihn Tien Thuan Ma., OSM and Fra. Francis Noel Ma. Monterde, OSM were installed into the Ministry of Lectors and Fra. Arnel Ma. Cauba, OSM,Fra. Peter Nguyen Cong Van Ma., OSM, Fra. Michael Gem Ma. Dela Cruz, OSM, Fra. Rey Ma. Regunda, OSM and Fra. Kristoffer Joey Ma. Omandam, OSMwere installed into the Ministry of Acolytes. MAGSAYA KAYO AT MAGALAK! Liham Pastoral ng Kapulungan ng mga Obispo sa Pilipinas July 15, 2018- “Mapapalad ang mga nagpupunyagi para sa Kapayapaan sapagkat tatawagin silang mga anak ng Diyos.” (Mat 5:9) Minamahal naming mga kapatid kay Kristo, hindi ba‘t lahat tayo’y naghahangad ng biyayang maging mga anak ng Diyos? Kung gayon nga, dapat nating laging pagsumikapan ang maging daan ng kapayapaan sa mga panahong ito ng pagkabalisa sa ating bansa. CBCP Pastoral Exhortation: Rejoice and be glad! July 15, 2018- REJOICE AND BE GLAD! CBCP PASTORAL EXHORTATION “Blessed are the peacemakers, they shall be called sons and daughters of God.” (Mt 5:9) Dear brothers and sisters in Christ, do we not all aspire for the grace to be called “sons and daughters of God?” If we do so, then we must constantly strive to be peacemakers in these troubled times in our country. 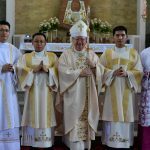 Bishop Mercado’s Pastoral Letter on the Culture of Killings June 16, 2018- Dear People of God, It is with great sorrow that in the period of six months, three of our Catholic Priests were gunned down and their cases remained unresolved, the latest of which is the brutal killing last Sunday of Fr. Richmond Nilo from the Diocese of Cabanatuan. This event is reflective of what is happening in our society. We are condemning the killings of our brothers and sisters, and all forms of violation against human life. DOP MEMO NO. 2017-016 December 1, 2017 December 4, 2017- Reverend Monsignori and Fathers: Brothers and Sisters in Christ: The Chancery Office is informing and alerting everyone of a recent fraudulent effort of an unknown group / caller to extract money from his victims, often parishioners, parish priests and personnel within our diocese. Parish General Assembly March 11, 2017 March 8, 2017- All parishioners of St. 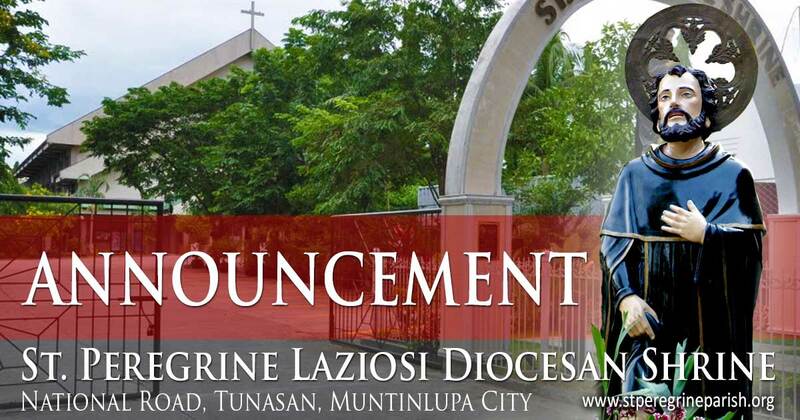 Peregrine Laziosi Parish, especially the members of the Parish Pastoral Council (PPC), Lay Organizations, Commissions and Ministries, are called to attend the Parish General Assembly which will be held on March 11, 2017 (Saturday) at 8AM. Walk For Life – February 18, 2017 February 12, 2017- As a continuing effort to stand up for life and demonstrate our unity and love for life which was so generously given us, the Catholic Bishops Conference of the Philippines (CBCP), through its president His Excellency, Most Rev. 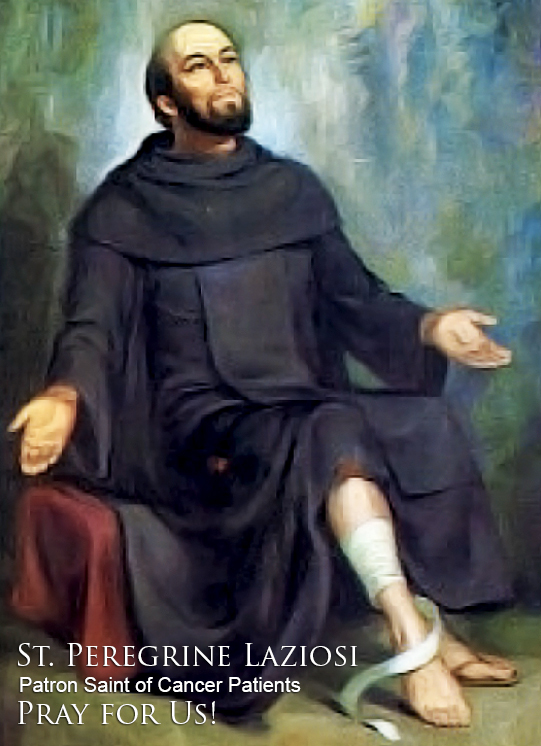 Socrates Villegas, D.D. has aired his invitation to the Walk for Life on SATURDAY, FEBRUARY 18, 2017, from 4:00 – 7:00 a.m. at the Luneta Grandstand Parade Grounds, Luneta Park, Manila. For those interested, kindly look for Cora Hizon and Minnie Gutierrez. VISITA IGLESIA 2017 – Diocese of Iba, Zambales February 1, 2017- In line with the preparation and activities for the upcoming Lenten celebrations, the St. 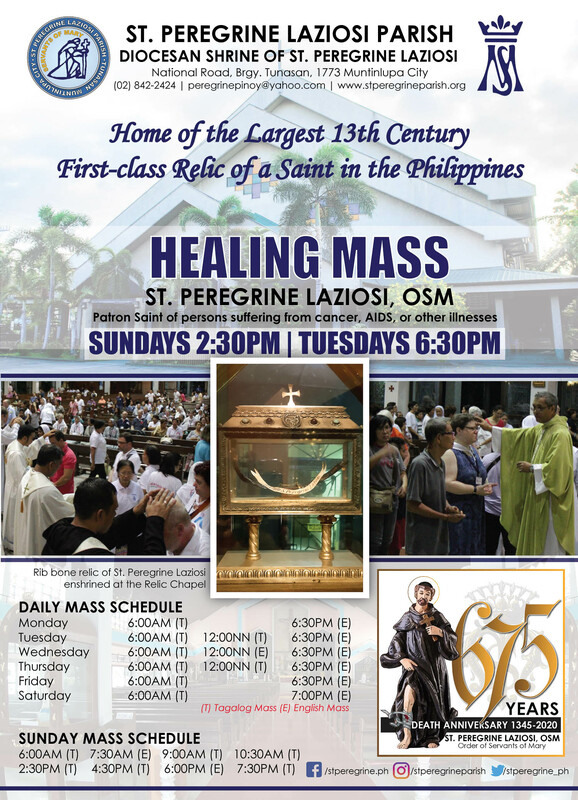 Peregrine Laziosi Parish Media Office has released a promotion video for the annual Visita Iglesia. This year’s Visita Iglesia will be held in the Diocese of Iba in Zambales on Holy Monday, April 10, 2017. On the itinerary are churches in the Parish of San Nicolas Tolentino in Castillejos, Parish of St. William in San Marcelino, San Sebastian Parish in San Narciso, The Cathedral of St. Augustine in Iba, Botolan’s Sta. Monica Parish, St. Rose of Lima Parish in Cabangan and the Parish of San Roque in San Felipe. Parish General Assembly – January 14, 2017 January 7, 2017- Parish General Assembly - January 14, 2017 - All parishioners of St. Peregrine Laziosi Parish, especially the members of the Parish Pastoral Council (PPC), Lay Organizations, Commissions and Ministries, are called to attend the Parish General Assembly which will be held on January 14, 2017 (Saturday) at 8AM. Inaanyayahan po ang lahat na mga parishioners sa ating Parokya ng St. Peregrine, lalong-lalo na sa mga myembro ng Parish Pastoral Council (PPC), Lay Organizations, Commissions and Ministries, para sa Parish General Assembly na gaganapin nitong darating na Sabado (January 14, 2017) na magsisimula sa alas 8 ng umaga. DOP CIRCULAR NO. 2016-111: Prayers Against the Imposition of the Death Penalty December 18, 2016- Reverend Monsignori and Fathers: Upon the approval of His Excellency, Most Rev. Jesse E. Mercado, D.D., thru the Diocesan Commission of Liturgy and Popular Religiosity, we would like to forward to you our Prayer Against the Imposition of the Death Penalty. Attached also is a similar prayer drafted by the Catholic Bishops Conference of the Philippines for your consideration. Kneeling from Consecration of the Eucharist through to the “Great Amen” July 10, 2016- As publicly announced at Mass July 9 & 10, 2016, changes on the postures during Mass could be implemented by August 2016. The faithful is expected to kneel “after the Sanctus (Holy, Holy, Holy Lord…) until the end of the Eucharistic prayer” or the “Great Amen.” The congregation will then stand for the recitation/ singing of the "Our Father." The Most Rev Jesse Mercado, DD endorses JesCom feature film “IGNACIO” July 10, 2016- The Jesuit Communications Philippines (JesCom) humbly invites the diocese to support and watch a heartwarming and inspiring film by Paolo Dy, entitled, “IGNACIO DE LOYOLA”, which will premiere in Philippine cinemas on Wednesday, July 27, 2016. The film tells about the story of conversion of St. Ignatius of Loyola, the founder of the Society of Jesus, and how his enduring tale of courage, faith and hope teaches our modern society how to pray and communicate with God, and find what matters most in life. Epheso Youth Choir inviting new members April 17, 2016- The Epheso Youth Choir is currently looking for new members, young persons 13-39 years old, single and willing to serve, to give their time and strengthen their relationship with God. For those interested, visit the Epheso Youth Choir booth at the Shrine entrance (Sundays).